Very many thanks for your time this afternoon. I don’t know where you find the patience for old duffers like me. It was fascinating , fun and hugely informative. I learnt more in an hour than in the last ten years. Been a few times now and have to say the service is top notch. The staff can’t do enough to help you and we are not talking about one or two, every member of staff who we asked for help were fantastic whether it was for clothes, trollies or clubs both ladies and men’s. Well done look forward to seeing you soon. I was blown away by the fitting service. The camera and tracking system was a revelation and an amazing way of providing hard metrics to such an emotive activity. What I was reassured by was the fact that, whilst the Yonex clubs that were proposed were within the budget/improver category, I was able to get a regular 180+ yards with the 7 iron and the PXG equivalent, which was the price of the entire Yonex set, didn’t come close!!! I’m sure that says more about my golf than the club but it made me feel good!! I stated my budget range and to his credit, Jamie stuck to it. I have purchased a 7 iron set which are 1″ longer with a 2 degree adjustment and an increased grip size. If you are outside the “average” size range, I am 6’6″, I would highly recommend the fitting service. I should have done this years ago!! Good old fashioned, knowledgeable & customer centric service, with all the perks of a great facility & decent friendly people. 10/10. A Refreshingly good experience. I felt that Ron Noel was experienced, confident, knowledgeable and made me feel certain that what he was recommending were clubs that were right for me, for the way I play golf. In addition he gave me some useful pointers about things to adjust in my swing and stance, both of which have proved useful out on the course today - and I don't even have my new clubs yet ! I used my new irons for the first time on Saturday, in a Stableford competition with my work's golf society. I have not played in any type competition in well over 5 years and to say I was nervous would be an understatement...the distance was gained/carry was well in line in what we saw at the fitting session. I came second!!!! I really can't say enough good things about Silvermere. The process was extremely professional, but also enjoyable, and they used some amazing technology during the fit, which gave me very accurate data. It was also a great touch to have a pyramid of balls waiting for me to hit...classy! Played here in March 2017. I have played here numerous times in the past as a member of a golf society and always had a great time. The Pro Shop is one of the largest in Europe and if they are having a sale you will always find something to buy. There is a driving range and a practice putting green. The course has always been in good condition and the last 2 holes are superb. A par 3 over the lake then a par 4 with the second shot over a lake (usually with lots of people watching from the clubhouse) so quite daunting. The clubhouse/restaurant offers a good range of food and reasonably priced and the staff always seem helpful and friendly. Knocked one stone dead 5ft from the pin on the 17th. And on the green in 2 on the 18th. Floated off the course. Yes the bar is nice and the staff are accommodating, it's true the deck is great and there's seating halfway round the lake, sure the foods good too but score 9pts on the last 3 holes here and you'll give it 5 stars even if the club house was a shack. Very good range with top tracer showing carry and other ball flight information. Useful for figuring out club distances. Shop is very well stocked and you can hit any club you like. Staff know their stuff really well and very friendly. Haven't don't a fitting yet but would do if looking for new clubs. Highly recommended. Not been to Silvermere in 20 years! OMG never seen a set up like it. Thoroughly enjoyed my iron fitting. Having played golf for 30 odd years I’ve never experienced technology like it. And the selection to try out is mind-blowing. If your looking to spend money on new clubs this option is a no brainier. Never seen a selection of heads and shafts like it. Looks like I’ll be a customer for life. I just wanted to express my sincere thanks for the custom fit golf clubs which were delivered successfully. They had their first outing this week and I hit 4 pars on the first 5 holes so am delighted with them! I really appreciated your offer to do a custom fit in London which was truly first class customer support. Thanks very much - you have secured a long term customer. 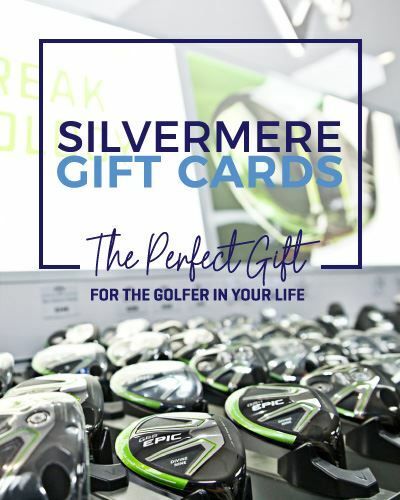 I found the whole custom fitting experience at Silvermere excellent and you were very professional and patient in your approach to make sure I got the best clubs for me. What a terrific set up you have there. Can’t wait to get my new clubs as I believe they will make a real difference to me and enable me to move towards (or into) single figures! Just a quick note to say what a fantastic experience I had at Silvermere on Friday with Jamie. My introduction to Jamie was made via David Aitchison and his patience, knowledge and genuine interest in my club fitting was superb. Can't wait to pick up my new clubs and get fitted for my woods! Great facilities and staff at Silvermere; won't hesitate to recommend you. I have been having lessons with Nathan over the last 3 years. When I started with him my golf was a mess as a result of little golf following a badly broken arm. Nathan's style impressed me at once as he rebuilt my game taking account of my physical limitations and age. The process has been very steady and when I have had setbacks he set me right. He's thoughtful, innovative and patient. He's also very good company too.